Alkaline proteases from the intestine of mutton snapper (Lutjanus analis) were partially purified via a three-step process. The enymes exhibited tryptic specific activity 13.7-fold higher than that of crude extract, with a 10% purification yield, and were strongly inhibited by TLCK, benzamidine, and PMSF. These proteases were stable at temperatures up to 55°C and were most active within a pH and temperature range of 8.0-11.5 and 50-60°C, respectively. These enzymes exhibited high affinity to BApNa substrate, with the Km and Vmax values of 0.56 ± 0.14 and 0.609 ± 0.05 U/min, respectively. 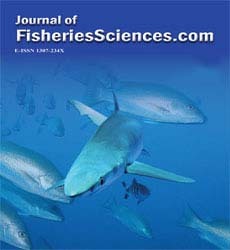 Mutton snapper proteases were more active than commercial porcine trypsin in the presence of surfactants such as Triton X-100, Tween 20, Tween 80, and Extran®. In addition, the mutton snapper protease was stable with hydrogen peroxide and commercial detergents. These results demonstrate that these proteases have a potential for application in the detergentindustry.